Crowning the small hilltop village of Verduno, the elegant 18th century cantina Fratelli Alessandria produces approx 5,000 wine cases from 14 hectares; including the wine crus of Monvigliero in Verduno & Gramolere in Monforte d'Alba in Piedmont. Their Barolo wines were recognised by King Carlo Alberto in 1843, identifying a notable quality that continues to be enhanced by the arrival of 5th generation Vittore, aside his uncle Alessandro and father Gian Battista. They are also proud producers of the Pelaverga wine, a charming and elegant pepper-scented thing from grapes grown almost in exclusivity around Verduno. Vittore's arrival in 2001, post commercial and oenological studies at Torino University, coincided with a period of positive change. 'More attention to detail' is how Vittore explains the improvements that have taken place over the past decade. No more so than in the vineyard, now a picture of health and source of bright fruit from appropriately low yields. 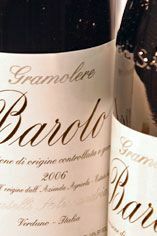 2001 was also the year that their single Monforte cru 'Gramolere' was released, echoing a regional trend. In the cantina: new static stainless steel tanks, better temperature control, the addition of a few French 500 litre tonneaux, while persevering with 15/20 day wild yeast fermentations & 30 hectolitre botte (slavonian & French oak) ageing have all combined to promote sales of bottled wine and thereby reduce their reliance upon sales to the bulk market; now down to approx 15% of production. Monvigliero is Verduno's & Alessandria's standout wine site, first bottled as such by the family in 1967 and more recently recognised in the recent classification of Barolo vineyards that now awaits Rome's rubber stamp. The family own 1.3ha out of a total 13. 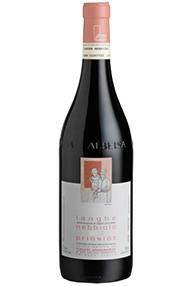 Alessandria's wedge faces plum south, on a near vertical slope, at between 250 - 320 metres, blessed with gleaming white calcareous soils and 30 year old vines. Alessandria's annual average production is a eye-watering 600 cases; invecchiamento kicks off in 20% tonneaux, before spending a further 2 years in 30 hl botte. Gramolere, their Monforte d'Alba vineyard, is a larger site at 4ha out of a total 20, alongside those of Sandrone and Pira. Its elevation is higher than that of Monvigliero at approx 425 metres above sea level, and it enjoys a particularly warm microclimate created by its altitude, tree sheltered location, a south-western aspect & by even steeper sandy clay soils. 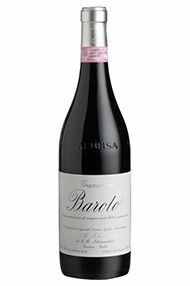 From 40 year old vines, the Barolo is stylistically very different to Monvigliero: a broader, denser wine, more mulberry than raspberry on the nose, the palate has a definite succulence, boasting velveteen tannins; so all in all a richer brew. But you may be wondering how a Monforte vineyard's came to be in the hands of a Verduno estate: it's all thanks to Vittore's mother Flavia, nee Manzone. Could it be that in the 2010 vintage, the Monforte vineyard of Gramolere has ‘stolen the show’ from the fêted Verduno site of Monvigliero? This will please Vittore’s Mum (nata Manzoni), from whose family the plot came before being first vinified under the F.lli Alessandria label in 2001. Or maybe it’s just being 400 meters above sea level, with sandier, iron-rich soils and Gramolere’s 45-year-older vines that produce a wine that’s ‘faster off the blocks’? 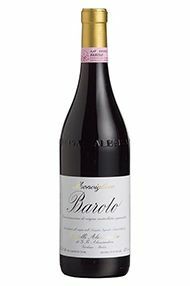 Either way, it’s gorgeously composed, with balsam oil, rich raspberry and wild mint (of which there’s masses in the vineyard); it’s serene, broad and generous in a Brunate-esque way, refreshed with notes of wild thyme, framed by molten tannins. Complete. 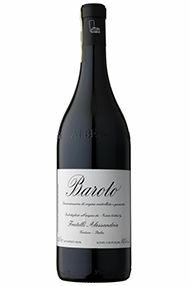 Understated and, at times, frustratingly shy in its youth, the utterly compelling Alessandria wine from the heart of the Monvigliero vineyard seems to bask in the shadow of the more ebullient Gramolere; but then that’s what, in essence, sums up the difference between the Baroli of Verduno and Monforte. From slightly younger vines (35-years-old), the wine from this mid-slope, chalky white, if lower, vineyard is reticent, pale rose-red in colour. There is a distant whiff of delicate floral perfume, a hint of sandalwood, of rose petal, even of nose tingling white pepper that recalls local grape Pelaverga. It’s a silk thread in a glass, slowly unravelling. Patience will be rewarded. Utterly distinct from San Lorenzo, first bottled in the great 1978 vintage, Fratelli Alessandria’s 2012 Monvigliero sings of the vineyard’s steep, white-talc slopes, with its pale, red-rose colour, and rose-petal scent, along with vintage-specific notes of violet creams. In spite of the violently hot August, Alessandria’s chalky Monvigliero kept its cool – helped no doubt by the family’s decision to de-leaf less and less in the face of a changing climate – and so giving us a haunting, ethereal, fresh, mandarin-skin and rose-petal beauty, wrapped up by the finest of (Verduno) tannins and a salty lick. Thanks to Alessandria’s sensitive winemaking, one can greatly appreciate the styles that differentiate the two villages of Verduno and Monforte. Where Verduno’s Baroli are cool and laced with limestone, here the brambly, Bonnes Mares-esque fullness is expressed by Monforte’s Gramolere vineyard, with its red sandstone and west-facing aspect which overlooks Bussia below. It’s a darker hue than the Monvigliero, rich with eucalypt, cologne and wild mint aromatic lift. Fuller, fleshier and meatier, there’s a gorgeous, brambly, rosemary roll, backed by an iron spine and molten tannins. Even in the warmer 2007 vintage the potential of Verduno’s top Nebbiolo vineyard Monvigliero has been realised by the Alessandria family. Fresh rose petal scent and elegant yet juicy raspberry fruit saturates the palate. Perfectly poised for future development, Vittore can be justly proud. Blessed with old vines and a near perfect South West aspect, this Gramolere combines full, juicy balsamic ripeness with notes of spice and incense. 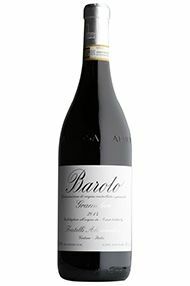 It is not too dissimilar to the character of Brunate and promises further improvement with bottle age. 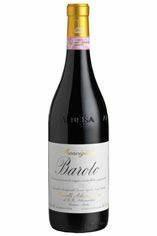 While Monvigliero is all rose petals, feminine & elusive, Gramolere from the warmer sandstone soils of Monforte d’Alba is more enveloping, with a distinctly lusher, fleshy mulberry fruit feel to it. A fuller wine, with melting tannins, bright acidity and delicious modern outlook on life. All sealed with a smart silver top! A masterful assembly from across Alessandria’s different vineyards, 85% of the fruit comes from its five Verduno sites, showing all their red fruit, floral notes and finesse. The remaining 15% comes from younger vines in their Monforte cru of Gramolere, providing the savoury notes, spine and structure. This wine is considerably more than the sum of its parts. Drink 2022-2035.